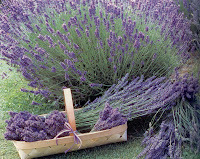 Herbs that are best for drying are basil, oregano, rosemary, sage and thyme. Cut down the best looking branches. Wash and pat dry the herbs to prevent mold and then bundle them into bouquets and tie them with string and hang them upside down so the stalks are upwards and the leaves are pointing down. Place them in a dark, airy place for drying and keep them out of the sun. Sunlight is great for growing plants, but it's terrible for drying herbs, causing them to turn grey and lifeless. Another way to dry herbs is to strip the leaves off the biggest stems and place them on screens that allow the air to circulate e.g. a sweater dryer. When the leaves are crisp to the touch, they are ready for storage. Once dried, the herbs will last two to three months in an airtight container and here is a good tip…. Store the leaves whole and crush when needed – crushing the leaves smells nice, but you lose flavor that way. Not all herbs dry well, some herbs such as chives, parsley, cilantro and tarragon can be made into vinegars and oils or even frozen. Just chop up the fresh herbs and freeze with water in ice-cube trays, or pack small bunches in tin foil and simply put in the freezer until needed. And of course dried herbs and flowers make great gifts for Christmas….. How about dried Lavender either in a tied sprig or in a small potpourri bag? Judy Lowe at The Christian Science Monitor directed me (through her blog) to your site. 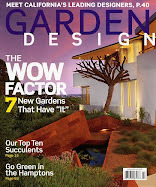 I'm going to add your feed to my "Gardening Gurus" section on my gardening blog, Defining Your Home Garden.